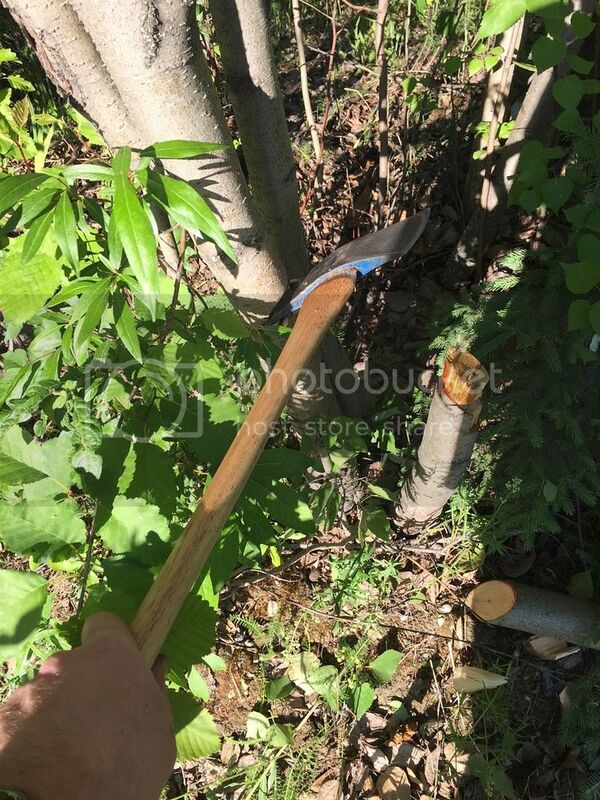 Discussion in 'Axe, Tomahawk, & Hatchet Forum' started by Alan2442, Jun 15, 2015. 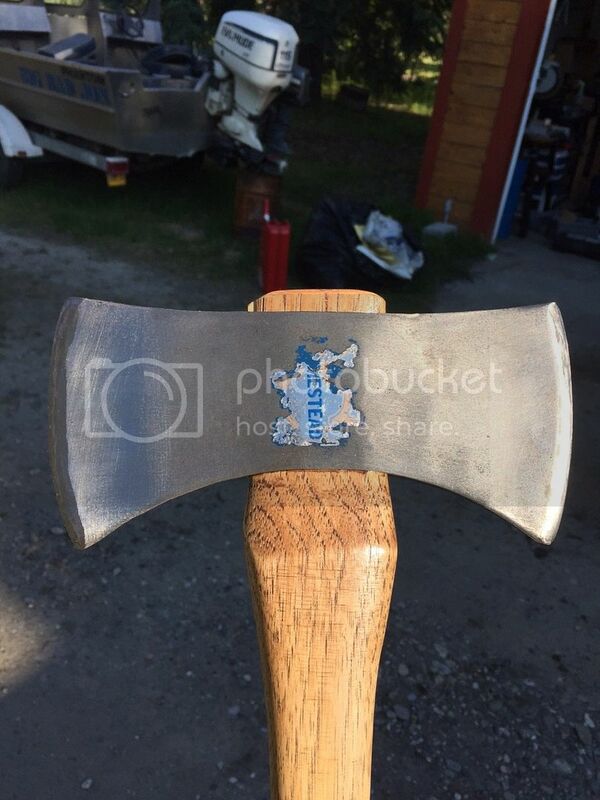 For your viewing pleasure... this is my second attempt at restoring an axe, so any advice on how I can do it better is most appreciated. 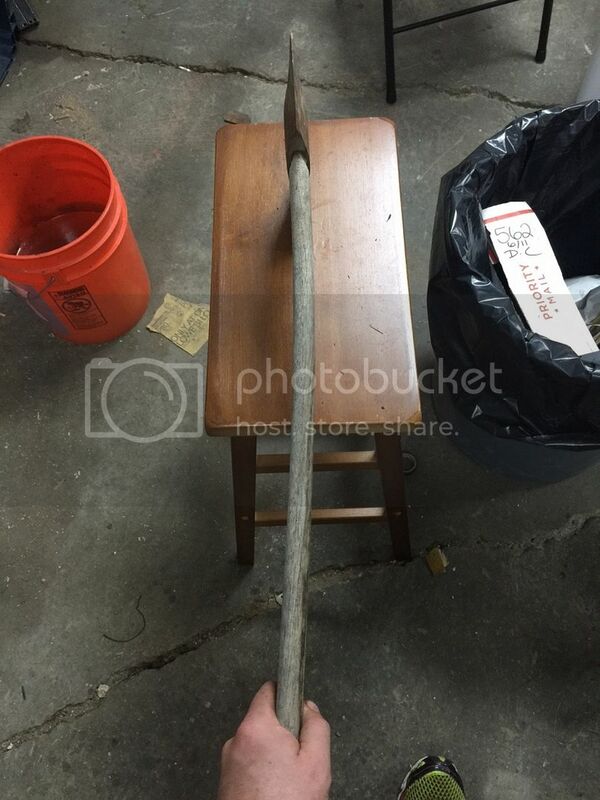 I picked it up with a group of old tools from the antique shop the other day. I tried to leave a little of the shoulder sticking out the top of the eye. I remembered reading it was safer that way. I am not overly proud of my attempt to sand it down, but i figured i should just stop when i got it semi presentable less i screw it up even worse. I haven't figured out how to make the edge of the bit not look like its been filed down. I may take some fine grit sand paper to it tomorrow and see if I can clean it up some. It may look messy but I assure you it will shave hair. Speaking if which that was the other lesson I learned...don't put the final edge on it till your done attaching the head to the new stick...i'm covered in small cuts right now . ..... the other lesson I learned...don't put the final edge on it till your done attaching the head to the new stick...i'm covered in small cuts right now . Be thankful they're not large cuts. Once they're sharp just put a couple layers of tape over the edge until you're finished hanging it. I like to finish the edge at the vise. 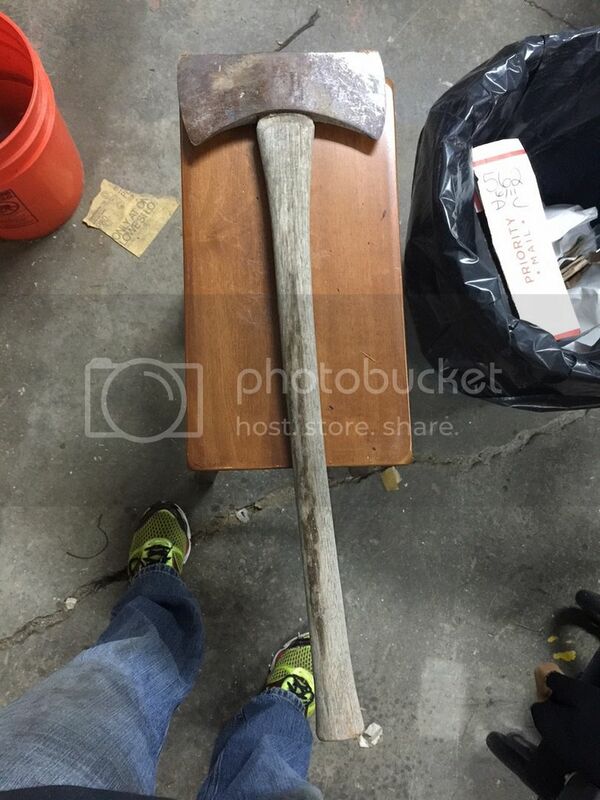 Finished haft and finished axe head come together at the end. Looks good. Congrats on a cruiser so early on and in perfect condition. Thanks...That's a good idea with the tape. COTS I appreciate it. 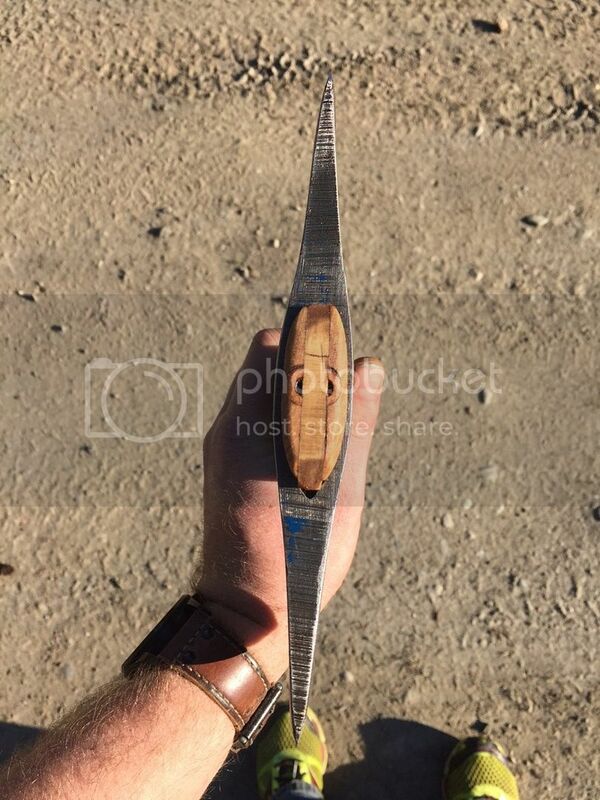 Think my next project is going to be that pick I got ahold of the other day. Looks great! That head appears essentially unused. You have a nice Collins. I love Cruisers and yours sure cleaned up very nicely. You did a good job restoring her. Another one saved for now and future generations. Nice job. 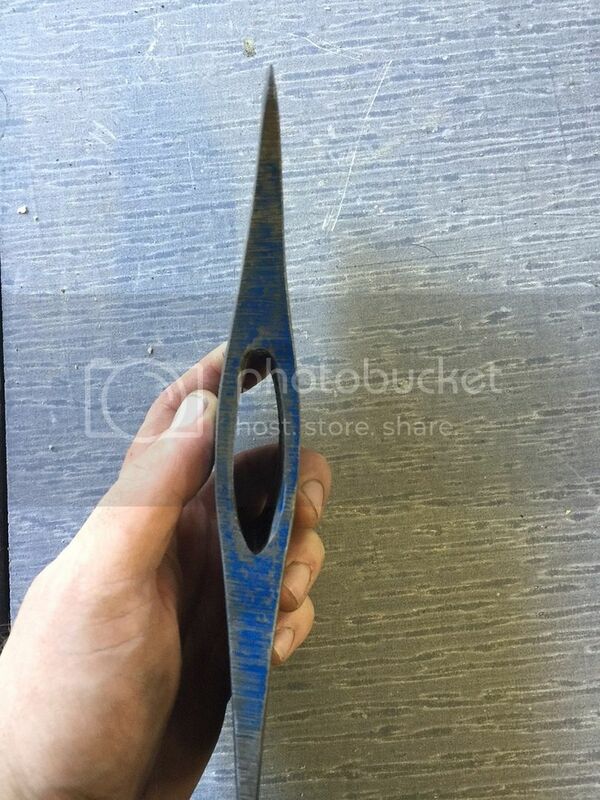 Damn those bits are thick, you can tell that came out of Mann Edge Tool Co in the early 80s. Operator how can you tell? I don't have enough experience yet to know where an axe was made when yet. The cheeks are flat and it has the grinding on the top and bottom. 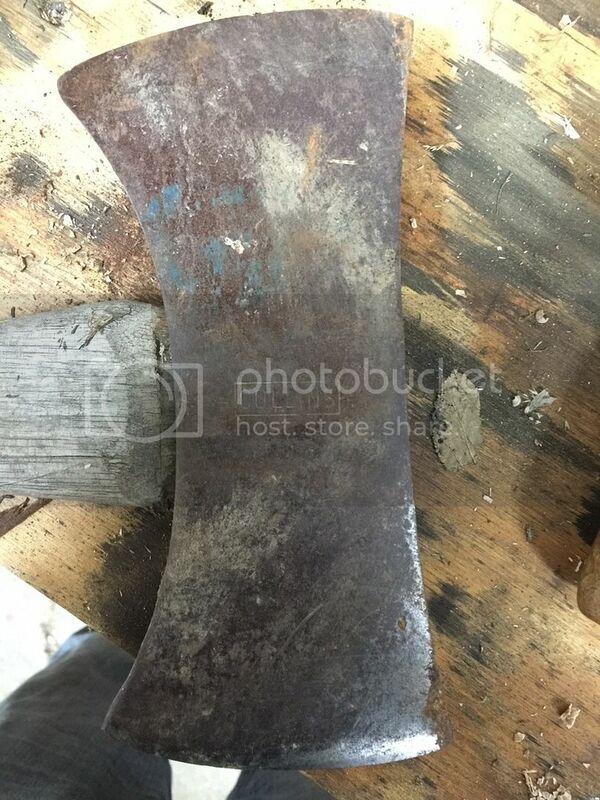 Most older Homstead axes had convex cheeks and were actually stamped Homestead. 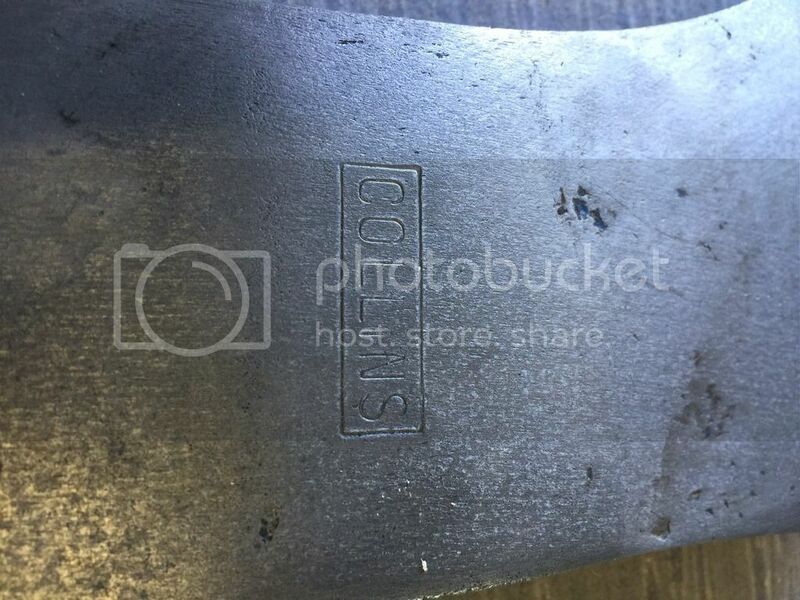 Bits are thick, it came out of main die press as one big old axe, then actually chopped by a metal cutter into shape, hence by the marks on top and bottom. No curvature to the cheeks, just flat. 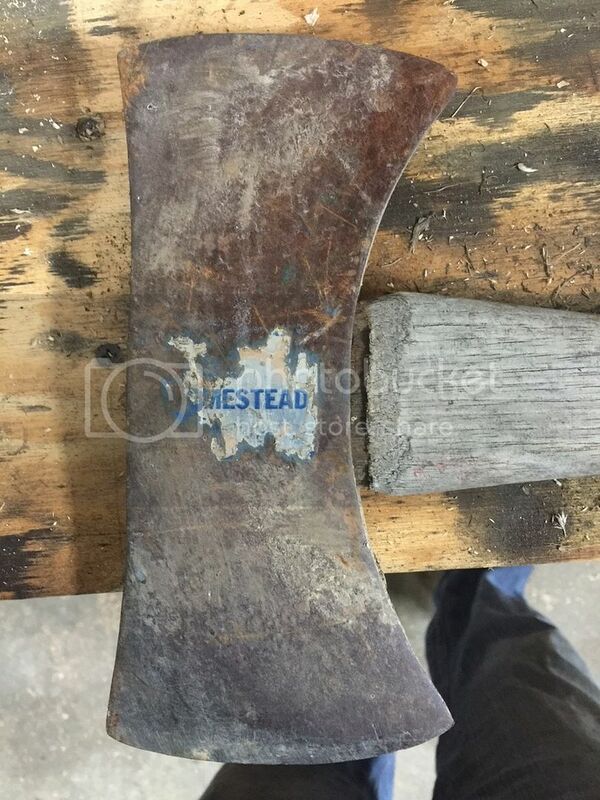 The blue and homestead sticker represent the time when Mann Edge Tool had the Collins line. Early/mid 80s on that guy. That thing will do basically whatever you want - nice find! 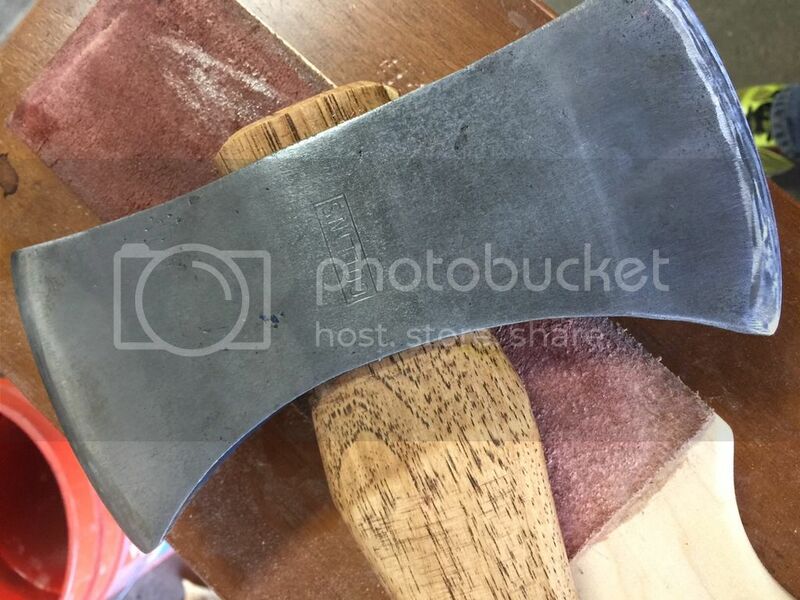 By leaving some the handle exposed atop the head, your pushing that material over top the axe head and locking it in place. Hope you understand what I mean. If you want the edge to look like it hasn't been touched with a file, take some sand paper with a soft backer(mouse pad works good) then clamp the head down, and move the sand paper back and forth towards the eye. Be careful not to cut the sandpaper. This will give a slightly polished edge, and will make it look a file was never used. Doesn't matter what grits you use, or how high of grits you go. I have the same one and love it. and regret passing on a Homestead single bit recently. Nice work Alan. Barco still makes a 'Kelly Woodslasher' cruiser. One got a bad review here a few years back. I'd like to see another one reviewed. I think the one reviewed was likely overheated during grinding and given a spotty temper.